Time to crawl out of your kotatsu – though maybe not quiiite time to pack it away – because Spring has sprung! 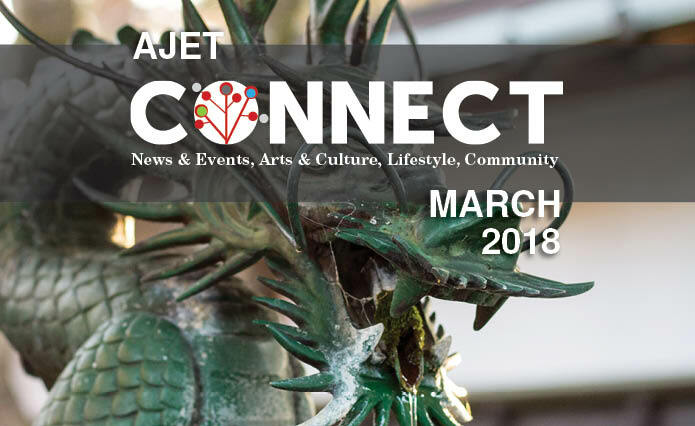 This month’s issue of Connect has all the features you know and love – the latest news, a jam-packed events calendar and our pick of March’s most anticipated releases (and the platforms to stream them on)! It’s the perfect time of year to take up something new, and if you’re looking for inspiration you won’t want to miss this month’s look at veganism in Japan (plus vegan peanut butter brownies! ), a West Tokyo blood donation collective, and our guide to Japanese thrift stores. Need a dose of culture? Get stuck into the myths of Miyazaki, and top it off with one JET’s unforgettable experience of volunteering at a Thai orphanage. ← Snow Monsters, Oh My!